Every student has his or her preferences when it comes to learning. Some get excited about math while others prefer history or astronomy. The formula for teaching many of these subjects can be pretty straightforward. Review a chapter or lesson in class, take questions, do some sample problems and send students on their way with homework to solidify their knowledge of that day’s lesson. This is a formula that works well when students enjoy the material. But what can be done when they don’t? 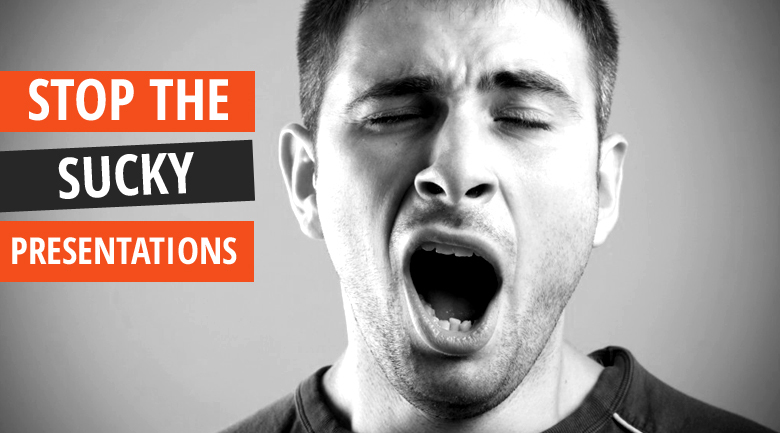 How do you motivate individual students without sacrificing the rest of the class? In my experience as the designer of an education technology software, the key is taking a learning tool and expanding it into something that can be used for fun. When designing out educational product we decided to focus on flashcards because they have been used since the early 19th century and have remained viable through massive changes that have happened over the last 200 years (the invention of the computer, cellular phones, wide spread internet adoption, tablets, etc). Today opportunities for students are better than ever because we can put an almost unlimited number of flashcards in a pocket or backpack by putting them on phones and tablets. 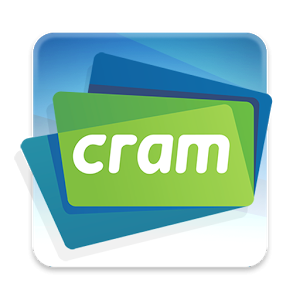 When we created our software, Cram.com, our intention was to load it up with features. 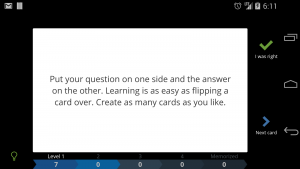 We thought that turning the flashcards into a practice test, providing options in a lot of languages, allowing you to sort your cards, were all things that students and teachers would want. What we discovered instead is that kids simply like games (surprise!) and that’s made the biggest difference towards people enjoying our product not just using it. We quickly attached two games to our product. The games not only help make learning fun but the competition aspect behind them helps push learning-adverse students to better themselves and raise their test scores along side their game scores. With the competition aspect, points are assigned on a continuous spectrum, so every kid will get a different score. Some of our teachers have used that facet to award extra credit or the opportunity for the student with the highest score to skip a test. Even the kids who don’t get the opportunity to skip the test will have competed enough for the top prize that they are much more likely ace the test anyway. Getting good user feedback has always been among our number one priorities. Through that feedback we’ve been thrilled to learn that when it comes to the internet and mobile apps, a lot of difference can be made in the classroom with a creative teacher willing to embrace a new technology. More importantly, these teachers all understand that learning can and should still be fun. 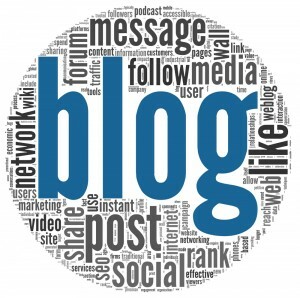 We’re also excited that Dr. Cook has been showing off our product to our third grade teachers and we thank him for letting us write a guest post on his wonderful blog. A few years ago I took the “plunge” and became connected to other educators throughout the globe through Social Media. I can admit that I have never been the same since taking that plunge. One of the best parts about the connections was the relationship I built with Jessica Johnson and Theresa Stager. We started the PrincipalPLN to help other administrators to become (and more importantly to stay ) connected. Throughout our journey we realized one of the downsides of leadership…. isolation! So we decided to write a book on the topic. Getting connected is one thing, and many educators are taking the plunge to become connected. Once connected, how does the leader avoid the isolation inherent in leadership? We have learned from conversations with others that many educators need help balancing their connected journey, and working with their peers. We wrote this book to ensure that the leadership wheels do not fall off. 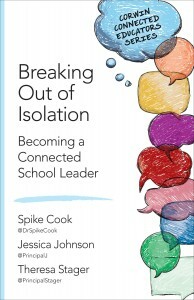 In this book we help the readers understand the importance of being connected to benefit individual professional learning, mindfulness, and avoiding the traps of isolation . We use vignettes of leaders to give a picture of what the connected leader looks like. We also address the common challenges that come with being connected, such as criticism, isolation and battling mindset. Pre-orders are available by visiting the Corwin site. The book will be released in the fall of 2015. All eyes on the sky! In a recent PrincipalPLN podcast, we interviewed Kirsten Olson and Valerie Brown, authors of the book, Mindful School Leader. I highly recommend to check out the book and the podcast. The practice of mindfulness for educators is a relatively new practice. Of course, mindfulness has been around for centuries, but it has often been relegated to eastern philosophies, yoga, and meditation. Yet, Olson and Brown provide research as well as anecdotal information from school leaders throughout the globe who are all practicing the art of mindfulness to combat the stress, sacrifice and malaise that plagues the profession. It’s funny how her first two responses need to actually be mentioned. Yet, how many of us actually focus on breathe, or take 10 minutes to just enjoy our lunch? And looking at the sky? 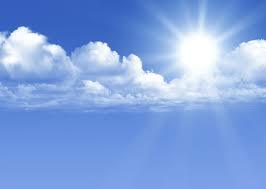 When was the last time you actually looked at the sky for one minute during work? For me, it was never. So this week I set out to really enjoy my lunch, breathe and look at the sky for a minute each day. I was able to achieve those goals, and I can honestly say that I had a less stressful week. 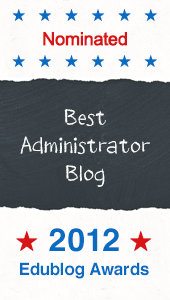 For a school administrator in May that is a real accomplishment. How about you? What do you do to practice mindfulness? What if it came down to you? It’s always easier to think that someone else is in charge. It is always easier to think it is someone else’s responsibility. We find it difficult to understand how important we are, and we often leave the work to someone else. Think about this for a minute… what if it came down to you? Guess what? It does come down to you ….. everyday! There are countless stories of people who have changed the world, invented things, and helped people. We love to revel in those stories, and tell them to our students. Yet, we forget how important everyday decisions are, and how they may have the same impact on the world. You never know who you are going to impact, and more importantly, how. You have that opportunity everyday. You never know how it will impact a colleague, a parent, a student, or even an administrator. You never know how much you can impact others. How do you plan for the end of year? 1. Is everyone on the same page? Just because the weather is getting warmer and the field trips are blooming, the last thing you want to do is lose focus. As educators, it is important to ensure that the learning process continues to bloom and that students are engaged. 2. Plan for next year. Of course, this is a perfect time to begin talking about the master schedule, class lists, and a focus for next year. These things take time, so use the time in April and May when the staff are not feeling rushed (like what happens in June). 3. Celebrate the learning. As we get closer to the end of the school year, this is a great time to review and celebrate what was learned. How did your Genius Hour go? What did your students create? What did your students solve? 4. Use reflection – admit mistakes! Yes, we all set out to do so much in September, and along the way we made mistakes. I know we don’t always feel comfortable sharing our mistakes, but once you can get over that, reflecting on them is powerful. 5. Avoid countdowns. Nothing causes more stress then the “countdown” to the end of the year. 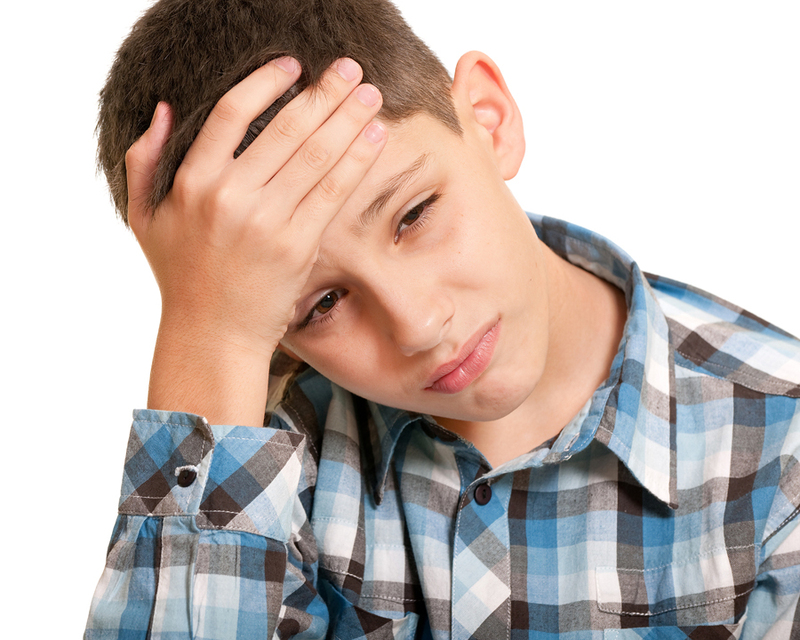 You may be looking forward to Summer Break, but that doesn’t mean your kids are. 6. End of the Year Assessments – In NJ we have another round of the PARCC starting in two weeks. Students need consistency and they need to know that they are supported. Did I leave anything out? How are you going to plan for the end of the year? Are you ready to give away your patents? Did you know that Tesla gave away all of their patents to their competitors. 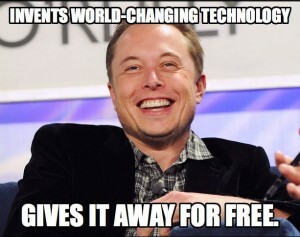 Yes, Elon Musk, basically said to anyone who has an interest in electric cars ….. you can have the patents. This is revolutionary because patents are created to prohibit others from taking your work and your potential earnings from the patent. Sound familiar? For hundreds of years in education, we have held tight to our patents. We close the doors, erect the silos, and continue the isolation cycle. Collaboration in education is difficult. The system does not lend itself to collaboration or sharing the secrets. It doesn’t have to be that way. There are so many ways that we can give away our patents so that others may benefit, but we have to be ready. 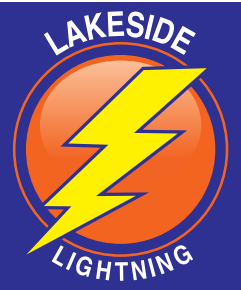 For instance, PLC’s are designed to assist educators with collaboration in their building. It should be a time to share things that work, and discuss things that are not working. PLN’s (Personal Learning Networks) are designed to assist educators with collaboration throughout the world. It is an opportunity to share things that work, and discuss things that are not working. Sound familiar? As you reflect, as yourself these questions? Am I ready to be transparent with my PLC or PLN? Am I willing to share what is working, and more importantly, what is not working? Am I willing to share my patents? 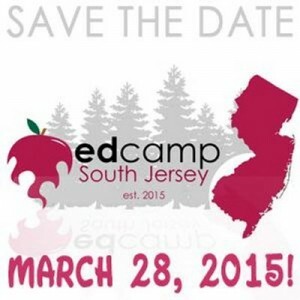 On March 28, 2015 South Jersey will host its first Edcamp! Edcamp South Jersey will be at William Davies Middle School at 1876 Dr. Dennis Foreman Drive, Mays Landing, NJ 08330. Doors open at 8:00 AM and there will be free breakfast provided by Hamilton Township Education Association. During the breakfast, first time Edcamp attendees will have the opportunity to learn about the day. The opening remarks are at 9:45 AM and the first session begins at 10:00 AM. There will be a free lunch (also provided by HTEA), and giveaways at the conclusion of the Edcamp. There is NO COST to attend Edcamp South Jersey. You simply need to register….. click here. I think Edcamps are an excellent opportunity for those “life long learners” to expand their horizons, connect with other passionate educators, and learn how to make your classroom more engaging. Edcamps level the playing field in that there is no hierarchy. If you want to lead a session, you can. If you need help with something, just ask. If you are a administrator, teacher, aide, parent, or student, while at an Edcamp you are like everyone else…. a learner. Join us at #edcampsojersey on March 28, 2015 at William Davies Middle School. You will be glad you did! I talk with a lot of aspiring administrators. I enjoy it because I feel it is a way to give back, and a few years ago I was in their shoes. Prior to Social Media, I was given a lot of advice from my mentors about leadership, management, and a few insider secrets. I was even told at one point to dress for the job you want, not the one you have. 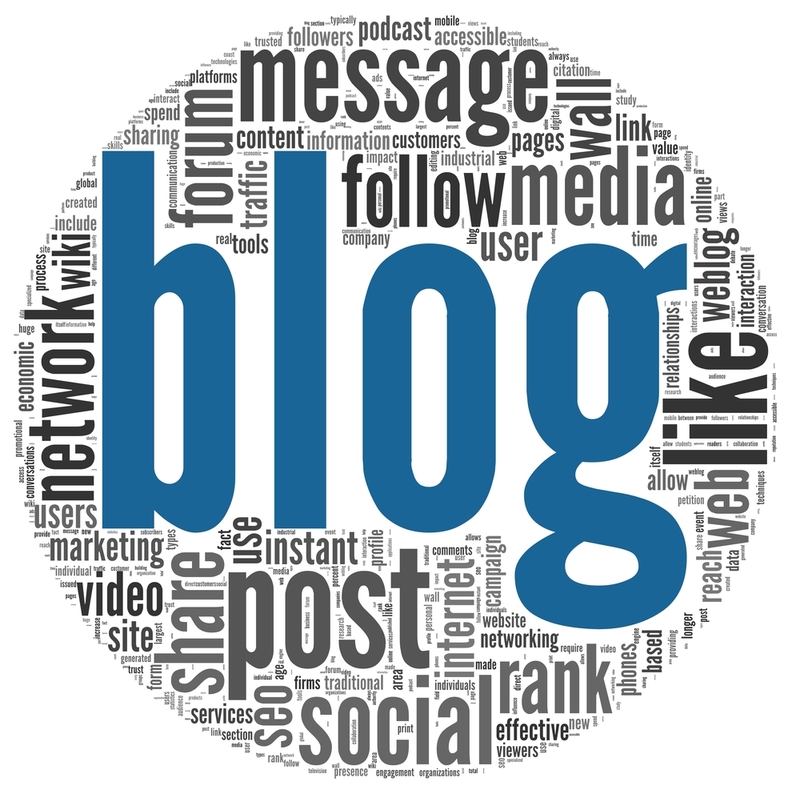 Nowadays, it is critical to blog for the job you want. Unfortunately, many current and aspiring administrators are not taking advantage of this medium. I’ve sat in on many hiring committees where no one had a blog, or even used their micro-blogging accounts to show what they are learning. These topics could be your first step in developing a digital footprint for your administrative search. I think we sometimes really misunderstand the learning process. We are all guilty of it. We can certainly get stuck in how we feel information should be delivered. There are always ways to improve. I’ve been to countless presentations, meetings, and conferences. No matter how many presentations I see, I am always amazed when the presenter delivers their message without considering the learning process. We do not all learn sequentially. I know education was founded in sequence and order, but the more we have learned about how our brain’s process information, the less we find it neat, liner, or compartmentalized. People can multi-task. Counter to what some people may think, it is quite possible to balance the responsibility of learning. Presenters may assume that people are off task, or even take it personal, when in actuality, they are going through their own process of learning. Why not go ahead? If you must review a power point, there is no harm in providing it prior to the workshop or lesson, so that people could actually flip their learning. Then, you, as the presenter, could help with application of the desired outcome as opposed to delivering rote information. What is a learning space? Even though it may take 5 minutes, do you ever have people introduce themselves and why they are in attendance. Maybe they will actually talk to one another during breaks or after the presentations. Sit and get. No matter if it is every 20, 30, 0r 40 minutes (and that is stretching it) provide some break time. You have to get people up and moving. What do you see when you go to presentations? What else did I miss? Standardized Assessments: What’s in it for the kids? Although I do not necessarily agree with the standardized assessment movement, I can see why everyone wants to use the results to judge teachers, principals, districts, etc. I get it…. You want to know how “effective” public educators are (or are not). You want to see trends, you want to see growth, you want to see the results of different types of kids. Once again, I think there are other measures that could provide you with better information. I have one question remaining…. What is in it for the kids? For instance, lets look at the education experience of Lamar, an 8 year old child in 3rd grade (the “baseline” for all things data in New Jersey)…. 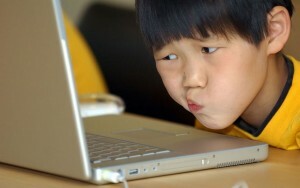 In school, Lamar takes assessments all the time. He tries his best, and if he struggles, his teacher provides additional support and remediation. Once a day, Lamar heads to the Response to Intervention room where he is provided research-based intervention on his academic deficiencies. On Friday, Lamar takes a “progress monitoring” assessment to see how he progressed from the previous week. He charts his own progression with the interventionist, and usually leaves with an understanding of his status (and a sticker). When Lamar works with his teacher, she helps him with his writing, math, reading comprehension and he also understands how he is progressing as he looks at his grades, written and verbal feedback from the teacher. Lamar’s mom is provided all of this information from the interventionist and the teacher. She gets a progress report, report card, and has the ability to come in and discuss Lamar’s progress at any time. She also has access to Lamar’s grades online. Theoretically, everyone is on the same page with Lamar. Then, Lamar takes the state approved standardized assessment. This is when things change. Remember, Lamar is 8. As Lamar enters the room for the state assessment, he can tell that his teacher is acting different. She is much more formal, and reads the directions, and his laptop is now a state controlled test machine. His teacher usually has a helper pass out the tests, pencils, but on this day she is doing all of this. Lamar notices a bunch of his friends in class who are normally there are not in the room. They were assigned a different teacher because they need more time, extra help or redirection. Once the test begins, Lamar’s attention drifts. He thinks about basketball, the new superhero movie, and the kickball game at recess. As his teacher circulates the room she notices that Lamar’s attention is waning, and normally, she would redirect him… Not today…. Lamar does the best that he can. His teacher collects the laptops, and after the 4th day of the test, it is all over. Lamar, the 8 year old boy, notices that the whole school returns to “normal.” He quickly forgets about the state assessment. His teacher continues providing instruction, she gives tests, feedback, smiley faces, and stickers. He goes back to visiting his teacher in the Intervention room, and he charts his progress. So, in terms of the standardized assessment, what is in it for Lamar? Honestly, Lamar has no idea the difference between all of the terms we use when describing his education. He has no real idea how the results of the assessment will be used. In fact, he won’t see the “results” of the test until the next school year. 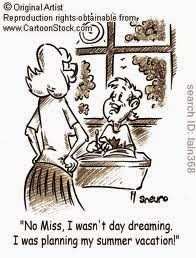 By that time he will be in a different grade, with a different teacher, in a different classroom. No one will review the test with him like he is accustomed to. No one will chart his progress, or point out areas he can work on. All he knows is that the test was hard, and he can’t talk about what was on it. His mom will get a letter in the mail 4 months later that will tell her how he performed. She won’t know what he got correct or incorrect because there is no item analysis. His teacher had no idea what was really on the test except the shapes in the lower corner of the screen that allowed her to ensure everyone was on the same page. No one can talk about it. No one really wants to talk about it. So, what’s in it for Lamar? What is in it for the students? I can see how the students in High School see the relevance because the results of the standardized test can determine if they graduate. I can also see how High School students see the relevance of the SAT or the ACT because (even though this is changing, but stick with me) the results determine their potential college or university. But this is about Lamar, the 8 year old little boy, that takes a test that everyone (except Lamar) thinks is very important. What’s in it for Lamar?